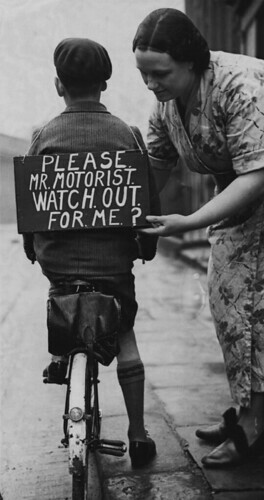 Please Mr Motorist Watch Out For Me, originally uploaded by carltonreid. I was hit by a van a couple of weeks ago. Riding home from work down Hatfield road, huge bang, sense of flying, ground impact. Shocked and bruised but otherwise ok- helmet cracked but the rucksack i was wearing protected me from road rash. Police and ambulance turned up, I went home in a police car. The police won't record the crash since I wasn't badly enough injured, despite the fact the driver overtook me in a no-overtaking area. The van's insurers have accepted liabilty and will pay, I'm going to claim for a personal injury too, but really I'd rather the whole thing hadn't happened.